I offer you another empty chair this week. 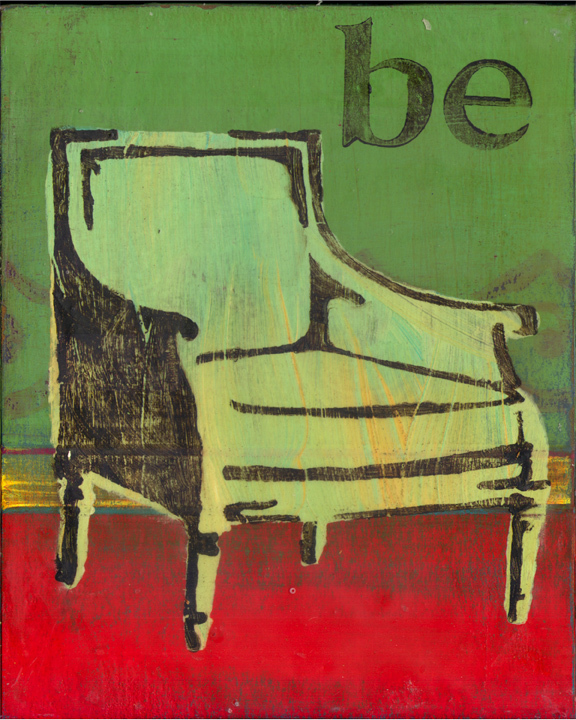 Like last weeks images of chairs this one is done with stencils I made. But unlike last weeks mono-prints this is done on wood panel with layers of acrylic sanded, layered and sanded again. I like the old fashion graphic advertisement feel that this technique gives. So I offer this empty chair as invitation to sit and BE but also to let you know about 3 upcoming sales. Today I am off to the airport flying up to Bellingham Washington. My long time college friend, Julia, is hosting an art and jewelry sale for me tomorrow. So if you are in the Bellingham area please come by. The details are below. Got to go I have 3 wheelie bags of merchandise to load up, wish me luck!